At $33 it is difficult to make a profit out of North Sea fields, the costs are too high. Almost 40 per cent of North Sea fields now make no money and the rest are not giving anything like the financial returns that were seen two years ago. Expenditure is being cut to a minimum and there is little new exploration going on. The result has been a loss of almost 10,000 jobs from the North Sea oil and gas sector. With numbers like these, the future looks gloomy for both North Sea oil and Aberdeen. 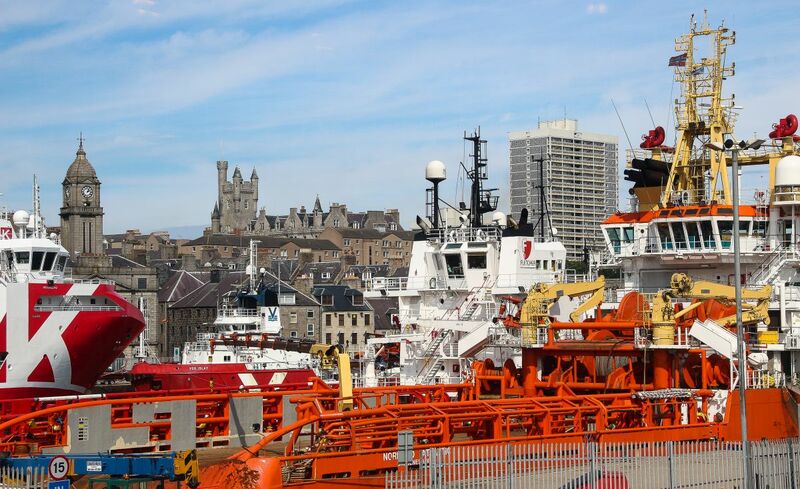 In a series of articles for Aberdeen Voice, I intend to set out the background to the current situation and to speculate as to what might be the future for North Sea oil and Aberdeen in particular. This first article explains why the oil price has crashed. Oil is a cyclical commodity prone to booms and busts. It hadn’t always been like this. From the end of the Second World War to 1973, the oil price had been kept at a low and stable level, about $2-3 barrel (and equivalent to $20-25 at today’s prices). A small number of oil companies controlled global production and it was this that ensured both oil price stability and steady profits for the companies involved. A Middle East war in 1973 changed everything. This was when OPEC, the Organisation of Petroleum Exporting Countries, came to assert themselves. The result was an immediate oil-price hike and a greater degree of price instability as control over production became much more widely dispersed. OPEC would find it difficult to maintain discipline amongst its member countries. Previous oil price crashes occurred in 1986 and later in 1999. The 1986 crash was brutal in Aberdeen, for example it saw unemployment hit a peak of 81% in the Bridge of Don area. The causes of the recent crashes have been similar – increased production by a small number of oil exporting countries and reluctance by OPEC, Saudi Arabia in particular, to maintain the oil price by cutting production. There has been a will by the Saudis to maintain OPEC market share despite the resulting loss in revenue. The current oil price crash has been provoked to a greater extent by the success of oil shale production in the United States (fracking) and a reduced need to import oil from outside the country. The United States is a major consumer of the world’s oil. I often get asked, ‘how long will the oil price stay this low?’ To which the answer is, ‘I don’t know.’ It’s too complex an issue to call. On the one hand, the world population is increasing at a rate of 230,000 extra humans a day. Not only that, the world is becoming more middle class, less so in the west, more so in China and India, where a sizable population are aspiring to a western lifestyle involving big cars and overseas travel. This creates long-term pressure on the demand for oil, and oil is essentially a finite resource. On the debit side, we will see more oil production from Libya and Iran, while China’s economy is stumbling with potential knock-on effects for the global economy. The Chinese themselves are now becoming acutely aware of the health problems being caused by severe pollution in their big cities. In response, they are restricting car use and taking an interest in fuel efficiencies. Add into the mix, the recent Paris agreement on climate change – a commitment to limit a global increase in temperature to well below 2oC by reducing greenhouse gas emissions, principally from the use of hydrocarbons. Global warming is a major challenge for humans, and in combination with massive human population increase, an environmental disaster is looming if nothing is done. Yet, here’s a major flaw in the good intentions set out in Paris last December. What do you do about transport? The world currently needs oil to move people and goods around. Over half the world’s population now live in urban areas and they depend on their transport networks for food and basic commodities: They would starve otherwise. The alternative is to electrify the transport networks in cities and to promote hydrogen fuel cells. This will be vastly expensive at a time when world-wide public debt is nearing unsustainable levels and in any case, it will take years to implement. Meanwhile, we will have to depend on oil until a concerted political effort solves this particular problem. So how long will the oil price stay low? It could be as much as fifteen years as was the case with the 1986 crash (which sort of melded with the 1999 crash). Nobody in Aberdeen wants to hear that, but it’s possible. I suspect the time frame could be much shorter – the long-term pressures on oil demand will not go away and the oil price could feasibly start climbing again within the next year or two. This is a common belief in the industry. Nevertheless, the reality of the situation is that nobody really knows. And if you did, you would make a fortune. In the next article, I will focus on the impact of low oil prices on the Aberdeen area in more detail and will speculate on the short – term implications for North Sea oil. March 17th 5-6pm – Blackwell’s Book Shop, High Street, Old Aberdeen. 5-6pm. Free, but please reserve a place by phoning 01224 486102 or emailing erin.matheson@blackwell.co.uk. Yes, but the North Sea oil is running out in only 30-40 years anyway.